Medical practice management, in a way, is not a great deal different from managing any other type of business. There are the administrative responsibilities which can include mountains of paperwork, as well as the responsibility of collecting money from patients and maintaining good relationships with employees. Unfortunately, the failure rate of small businesses is staggeringly high – as much as 80 percent by some estimates. How can you avoid some of the traps that ensnare other companies across a wide range of industries? Here are just some of the more common ones. Success or failure starts at the top – and it is a harsh reality that many medical practices fail due to a failure in leadership. While you cannot be everyone’s pal, research also shows that a dictatorial approach fails time and time again. Effective leadership means communicating the goals of your practice, being an inspiration to your employees, and making sure everyone on your team knows their role and their purpose. One of the basic tenets of any successful business is effective marketing. This should be one of your top priorities when it comes to medical practice management. You need to develop a strong plan that will not only increase awareness of your practice and increase patient traffic. Take the time to network with prospective patients as well as others who may not be aware of your practice. Build an attractive, easy-to-navigate website that offers helpful content. You should never look at getting help as a sign of weakness. One of the biggest mistakes physicians make is trying to do everything on their own. Please do not fall into this trap. A professional consultant can make life a great deal easier for you, and can also offer effective strategies to help your practice thrive. If you would like to learn more about how we can help with your medical practice management, contact Synergy MSO online or call 214-382-0292. 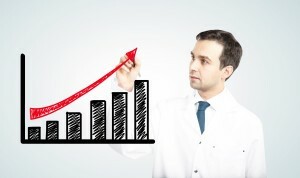 Medical practice marketing is an essential part of growth and success. What many doctors fail to realize, however, is that they can use their current base of patients to help demonstrate the value of their services. As a matter of fact, your current patients could be the most powerful marketing tool you have. Here are some tips on how to make the most of it. One of the best medical practice marketing tips there is involves making your loyal patients the centerpiece of your efforts. When you treat them right, they will very likely be more than happy to recommend your practice to family members, friends and co-workers. Educating your patients on the other types of services you provide will help them make a better informed recommendation. For example, if they do not know that you welcome children, they may not know to tell others to bring their children to you instead of someone else. There are several tools you can use to make sure everyone who comes into your office is aware of all the services you offer. Signs, table tents and possibly even a banner in your waiting room could get the message across, as could patient handouts and even refrigerator magnets. By going the extra mile in your medical practice marketing, you may get results you never would have expected. For example, send “welcome to our practice” letters to new patients telling them how much you appreciate the fact they put their trust in your skills. You could also extend other acts of kindness to your patients, such as sending them a note on their birthday. Synergy MSO offers wide range of medical marketing services to clients in many different practice areas. If you are looking for ways to grow your business, we can help. Contact us online or call 214-382-0292 to learn more. Physicians are under even more pressure than ever before to make sure their practice is run as efficiently and effectively as possible. Price pressures, healthcare reform, declining reimbursements and other issues are making it incredibly hard to be able to provide the necessary focus on patient care. These are just a few of the reasons you should consider hiring a medical practice management consultant. A medical practice management consultant can make your office run much more efficiently, freeing you up to do what you do best – take care of your patients. He or she will know how to make it easier for doctors and staff members to work as a team, implementing management processes and tools to help operations flow smoothly. Consultants offer not only strategic assessments, but also administrative support services to take your efficiency to new heights. When you partner with a medical practice management consultant, you will be working with an expert who knows not only how to help you put together a strategic business plan, but also a marketing program that will bring new patients through your doors. A professional will also offer you the tools you need to make more informed decisions that can substantially reduce your operational costs. A medical practice management consultant with Synergy MSO has a great deal of experience and a well-established track record of success. If you would like to learn more about the services we offer, please contact us online or give us a call at 214-382-0292. 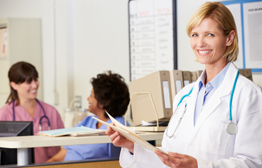 Medical practice management can seem to be a never-ending series of challenges. The day-to-day management of a practice can seem overwhelming at times. These are just some of the challenges that practitioners encounter on a regular basis. Far too many doctors feel they are tethered to their desk too often due to administrative burdens, losing valuable time they could be spending with their patients. This is not only frustrating, of course, it can even have an effect on a physician’s happiness. Most doctors truly enjoy spending time with their patients, and react very negatively to anything that takes them away from doing so. Whether you are dealing with prior authorizations for procedures and drugs, patient forms or other paperwork and red tape, documentation can be a major problem. 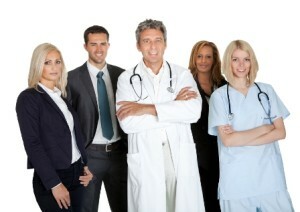 One of the most challenging aspects of medical practice management is keeping your best employees as happy as possible. Recruiting top talent is hard enough; retaining it can be even harder. If you experience staff turnover on a regular basis, it can create a substantial drain on your revenues and your resources. It can be extremely difficult to provide the rewards necessary to keep staff from feeling underpaid and overworked. The Affordable Care Act has created a massive influx of patients for many doctors, potentially increasing the risk of malpractice claims. As a result, some doctors are becoming more defensive in the manner in which they practice medicine, ordering more diagnostic procedures than they really need in order to reduce the chances of litigation. Synergy MSO could help significantly reduce these and other burdens. If you would like to learn more about how we can help you increase the efficiency of your medical practice management, please contact us online or call 214-382-0292. The Internet is everywhere and has been so for the last several years. Yet many doctors still do not know how to properly use it to help increase business. Here is some information on how the web can help market your practice. The first step in learning how to market your practice online is to determine exactly what you want to accomplish. In most instances, doctors want to advertise their offerings, sell specific services, educate patients and bring new patients through the door. It is imperative, however, that you decide what you want to market. Many practices will emphasize a particular service they offer or certain skills their staff members possess. The reason is that when most people search for a doctor online, they usually look for someone who can treat a specific problem they are experiencing. Internet sites only have a certain amount of time to grab someone’s attention. Your site needs to be able to convince them you should be the one to treat them, and it needs to do so quickly. In order to make the best decisions possible regarding your Internet marketing, you need to understand your target audience. One of the most common mistakes doctors make in this area is assuming that everyone who uses the web is young, or that they need to try to target every demographic. Focus on what you do the best and the types of patients you treat the most often. Then form your Internet marketing strategy around that. By properly targeting your marketing efforts you can avoid wasting a lot of time and effort. SynergyMSO can market your practice for you so you can continue to concentrate on delivering the best healthcare possible to your patients. If you would like to learn more, please contact us online or call us at 214-382-0292. A study recently published in the British Medical Journal (BMJ) had some surprising results in regard to hip fracture patients. According to the study, patients 50 years and older who stayed in the hospital less than 10 days after their fracture faced a higher risk of death than those who stayed in the hospital longer. Hip fracture injuries are becoming more common among adults who are 65 years of age and older – and expected to become even more common place. 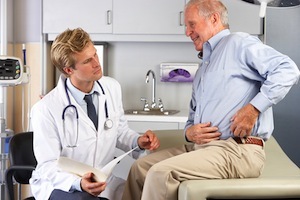 More than 250,000 people in this age group were admitted to U.S. hospitals in 2010, according to the article, and the Centers for Disease Control and Prevention estimates that admissions related to hip fractures will only increase as the population ages. The Swedish researchers who conducted the study report that increased admissions put even more of a strain on healthcare providers. As a result, patients are often released earlier after suffering a hip fracture. The team analyzed more than 116,000 patients in Sweden who spent time in the hospital between 2006 and 2012 due to a hip fracture. According to the study, patients who stayed in the hospital for five days or less were at twice the risk of dying within 30 days after their discharge. The team commented on the findings of the study, admitting that there are some limitations to their research. For example, the risk of death from a hip fracture is naturally higher in the early days after the injury occurs. Also, the team said it could not assess the type of care that the patients who died received after they were discharged. In some instances, patients may have not received the proper type of rehabilitation and may have suffered complications as a result. Whether you agree with the findings or not, the study should at least generate some discussion regarding the benefits and risks of early discharges. 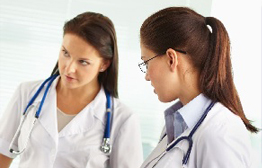 Synergy MSO offers a wide variety of medical practice management services. If you would like to learn how we can help you, contact us online or call us at 214-382-0292. An operational assessment can be essential for a medical practice, helping uncover inefficiencies that can undermine performance and also improve patient relations. These are just a few of the reasons you should strongly consider having an assessment conducted by a qualified Dallas medical practice management consultant. Hire a Third-Party or Go it Alone? While trying to perform an operational assessment internally can save money and provide more flexibility in terms of timing, there are several drawbacks. Physicians may not have a clear idea how to conduct an assessment, or they may not have the time to do so. There is also the chance that a doctor will have a preconceived notion of a clinic’s issues – he or she may be too close to the situation to see certain problems that may exist. 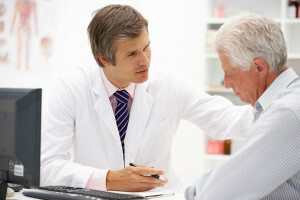 If staff members are chosen to perform the task, they may not feel comfortable speaking frankly with physicians so the assessment might not be as comprehensive. Using a third party, however, can ease time concerns and make it easier for staff members to raise potential issues. Experienced consultants are experts in conducting operational assessments and look only to solve problems – not place the blame on anyone or anything. It can be challenging to find an operational assessment consultant who has experience in your particular field of practice. One of the best ways of doing so is by asking fellow practitioners who may have had one conducted to see who they would recommend. Once you are able to identify two or three consultants, ask each of them to supply references and check them thoroughly. Synergy MSO has extensive experience in conducting operational assessments. If you would like to learn more about what we have to offer or you would like to schedule an appointment, please contact us online or call 214-382-0292. 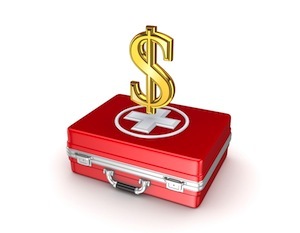 A sound clinical business plan is critical to the success of any new practice, no matter how small or large it may be. It is a tool that can help to attract top talent and also improve critical decision making. These are a few considerations that should be taken into account when putting one together. One of the most important elements of a clinical business plan is to clearly state the vision and mission statement of the facility. The vision basically provides an outline for what the clinic should look like in 5-10 years. There is no single right way to express the vision; it could be esoteric or it could be extremely intricate and complex. However, it should be clear enough to provide clear direction. The mission statement, in a nutshell, defines why the practice exists and what it intends to accomplish. It should be to the point, simple to understand and substantive. In many instances, the mission statement can be very helpful when the time comes to consider matters such as joint ventures, expansion or shifts in practice focus. It is also vital that a clinical business plan contains analysis of the market that will support the presence of a new practice. It should provide a specific branding and marketing strategy that delineates how you plan to attract patients to the front door. 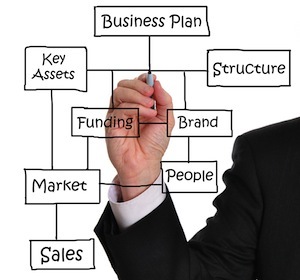 Financial projections are typically the final piece of a well crafted business plan. They will usually include cash flow as well as 1-5 year profit and loss projections, and will also include an analysis of metrics that are benchmarked against industry standards. There are, of course, several other elements of a clinical business plan that need to be carefully thought through and documented. The experienced professionals with Synergy MSO can help you design the best plan for your needs. Contact us online or call 214-382-0292 to learn more. 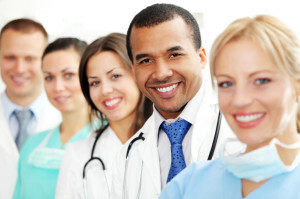 When it comes to medical practice marketing, many physicians consider it an afterthought. However, it is extremely important to take into consideration that practices of all sizes face intense competition; in order to maximize profitability, it is critical to show potential patients what separates yours from the others. It’s just as important, however, to avoid some common marketing mistakes. Here are a few of them. Brainstorming medical practice marketing ideas can be exciting – even exhilarating. But it also presents the risk of trying to implement too many ideas too soon. Without the proper amount of planning, even the best marketing ideas are likely to fail. Put together a timeline in which you will implement individual tactics, and then get a clear picture of what you expect to achieve with each component. That way, you will have a clear picture of which strategies work and which do not. There are many doctors who insist on only using tried-and-true advertising vehicles that have been around for decades, such as the Yellow Pages, billboards, TV and radio. These are still great options, but you also need to incorporate the Internet. 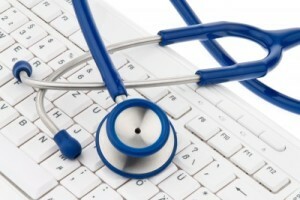 Establishing a strong online presence is one of the best medical practice marketing strategies. But just because you’re online doesn’t mean your website is effective. That site will be the first impression many people will have of your practice, so you have to make sure it is not only aesthetically pleasing but also easy to navigate. In addition, it needs to be optimized so people will find your site when searching online. This is where an Internet marketing partner could be an invaluable help. Facebook, Twitter and other social media sites can be a great vehicle to bring in patients; but you need to avoid being a “social media pest.” If you publish an excessive amount of posts, your followers may tune out your messages or stop following you completely. A marketing professional can guide you as to the proper amount of posts. If you are looking for ways to boost your medical practice marketing in Dallas, talk to the professionals with Synergy MSO. Contact us online or call us at 214-382-0292. One of the most cumbersome and inefficient processes faced by the typical medical practice is billing and coding. 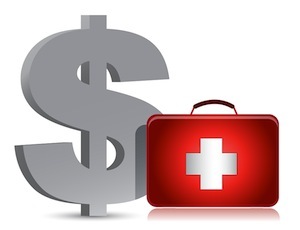 Dallas physicians and/or their staff members have to deal with myriad technical requirements in order to bill accurately and make sure they receive reimbursement. Here are just a few of the ways that an experienced third party can help streamline this process. Billing and coding in Dallas can take physicians and staff members from other tasks that have a direct effect on patient comfort and satisfaction. As a result, that can have a substantially detrimental impact on profitability. A third party can serve as a practice’s business office, freeing personnel to focus more on providing the highest possible level of medical care. 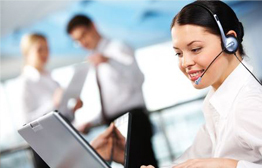 One of the most important services a third party can provide is to streamline the billing and coding process. Typically, a professional will assess your practice’s operations and provide you with a review that will spell out how to eliminate some of the bottlenecks that can keep you from getting paid for the services you offer. Seasoned providers will have all the tools needed to deal with all the complexities while ensuring your payments are correct and timely. Denial management is another vital component to billing and coding. Dallas medical practices have to keep their denial rates as low as possible, obviously, in order to be as profitable as possible. A third party can help make that happen. Effective providers know how to reduce the number of claims denied because of errors in coding. Whatever claims are denied or rejected due to other reasons will be thoroughly investigated, and then either appealed or resubmitted. Let the professionals with Synergy MSO show you how we can help streamline your billing and coding in Dallas and make your practice more profitable than ever before. Contact us online or call us at 214-382-0292 to learn more. Great company with knowledgable and friendly staff! Stay tuned for more informational videos for physicians who want to increase profitability and efficiency with medical practice consulting. © 2013-2018 Synergy MSO. All Rights Reserved.